Having spent the past 16 years working with membership organizations of all sizes (from NO paid staff to over 700 staff), I’ve found that some data management issues are universal, regardless of the size or type of your organization. So, while I was preparing for my upcoming Wild Apricot Expert Webinar on “How to Use Your Database to Grow Your Membership”, I thought I’d compile a list of the top 5 tips in the form of blog posts that could help membership organizations run their databases more effectively. When you work with any data management technology, you have to have business rules in place to ensure that everyone is using the system and processing the data in the same way. Technology alone won’t “fix” your problems; you need to be sure your business rules support your success. By rules, I mean the procedure stating who can enter data in the database, how that data is entered, how invoicing is processed, etc. Business rules also explain your membership types and criteria, your event registration categories, and participation in your certification program. The best technology in the world cannot overcome poor (or nonexistent) business rules. I’ve created a handy four-quadrant graph to illustrate my point. Read more. Too often organizations will implement a new data management system and then just assume they’re done with the work. The system will take care of itself, right? Well, no. You have to actively manage the data in order to make it most effective. So what are the characteristics of active data management? Proactively collecting data from members and customers. This means implementing practices like confirming data while on the phone with a member or customer. Establishing written documentation of processes and procedures, and updating them as needed. It's so simple, yet so few associations do it. Write down your business rules, document how you process data, to make sure data is managed consistently. Search tip: Don’t search for the WHOLE name! This is one of my pet peeves! Too often, staff is not trained well in how to search for an individual or organization record in a database. if you’re typing the whole name in (for either type of record), you’re doing it wrong! Most users make the mistake of doing an “exact string” search on a person’s name, rather than doing a partial search. For example, my last name is spelled “Trochlil.” To search for me in most databases, however, only requires that the user type in “troch” and search from there. Even in a very large database, “troch” will only return a small number of records. One of the points I emphasize during my presentations is that associations need to understand that when they purchase a new AMS, they are not simply buying a product; they are also buying a relationship with the vendor that supports the AMS. So, if you want to be like my most successful clients, you’ll treat your relationship with your AMS vendor much like you (should) treat your marriage. The most successful marriages, and the most successful vendor relationships, have these things in common. Trust that each has the other’s best interest in mind: In a truly successful marriage, there is no suspicion about the other’s motives. Each believes the other has in mind the best interests of both parties. Honesty, openness, and transparency: To have a really successful relationship with your AMS vendor, you need to be honest, open, and transparent. That means telling them what your expectations are and also telling them when they’ve failed to meet your expectations. There’s an old adage that asserts, “The minute a printed directory hits the streets, it’s out of date.” It’s true, but the same can be said for any database, anywhere. Many users (and often management) are under the mistaken impression that if enough effort is expended, and the proper processes are applied, then the data will be 100% accurate. Unfortunately this can never be true. One hundred percent data accuracy is impossible. Accept that, and focus on where you can be successful, not perfect, in your data management. Read the original blog post for some tips on how to do so. Join me to learn how to capture and analyze your member's information so that you can grow your membership, engage your members, improve your events, or raise more revenue. And, we'll be doing this webinar in a question & answer format - so come prepared with your questions. This is your chance to ask me anything you want! How can a membership database help you achieve your mission or goals? Participants - including organizations with small staff and high volunteer turnover - should leave the webinar with some key steps they can take to maintain an effective membership database and get the full value out of this data. For a quarter century, Wes has worked in and with dozens of associations and membership organizations throughout the US, ranging in size from zero staff (all-volunteer) to over 700. In that time Wes has provided a range of consulting services, from general consulting on data management issues to full-scale, association-wide selection and implementation of association management systems. 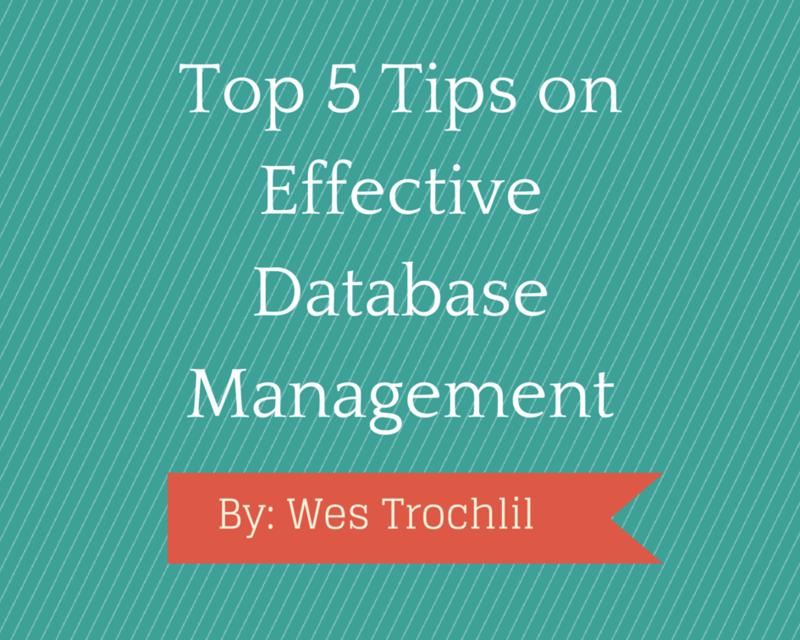 With his book “Put Your Data to Work: 52 Tips and Techniques for Effectively Managing Your Database,” and having published over 100 articles and hundreds of blog posts, Wes is the most published author on data management in the association market.